Call us on 0161-868 0977 if you need assistance. 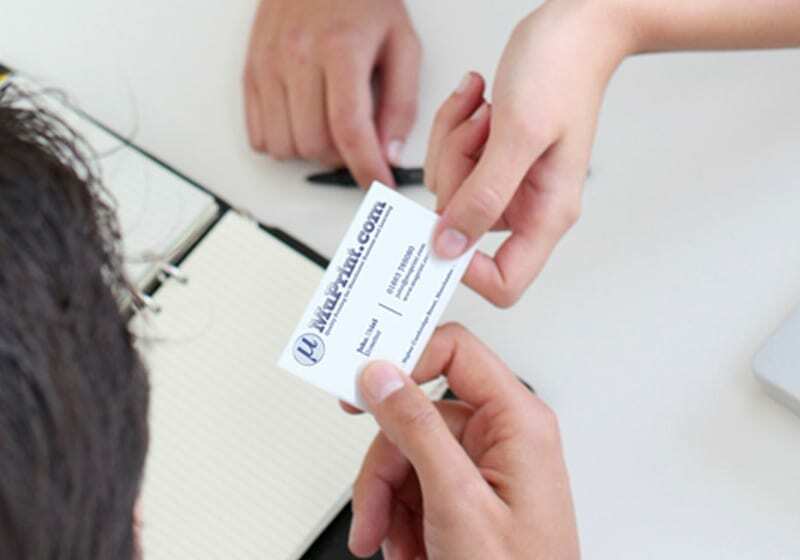 MuPrint’s business cards can be used for many purposes and also work very well as loyalty cards. The card is the thickest we’ve ever used and the thickest that can go through our amazing Xerox Versant 180 Digital press. Of course, there’s a full, money-back guarantee if not 100% satisfied. If you’re always running out and you need them quickly for that afternoon meeting, use our SAME DAY service and remember to say when you need them for – build in plenty of ‘wiggle room’ if you can to avoid unforeseen problems! Cards are the standard size for business cards – 85 x 55 mm – if you want a different size, please call us and let us know – we print all sorts!